The gold standard for learning how to use violence as a survival tool. We have been teaching — and constantly refining — this course for more than 17 years across the country and around the world; we’ve taught thousands of people just like you how to recognize serious threats and what to do when direct action is the only option left. This is a “one-and-done” course, meaning we train you with the expectation that we’ll never see you again — and that you’ll have to use the information as soon as you walk out the door. 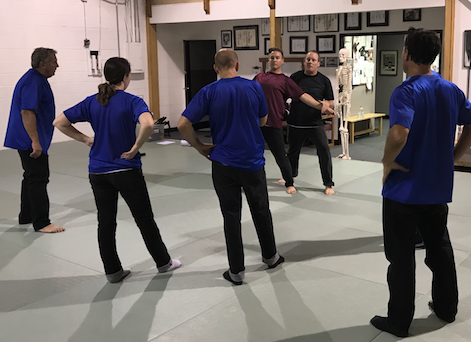 We will train you the same way we have trained military, law enforcement, and our own family members — you’ll come out of this course with valuable experience and a new life skill. How many times have you rehearsed your attempted murder? COME LEARN AN ENDURING LIFE SKILL! 100% MONEY-BACK GUARANTEE — We stand behind our work. If you are not completely satisfied with your experience we will give you a full refund.